Thanks to everyone who came to see us at Revolt – it was great to see so many people having a good time! We had some issues hearing ourselves on stage but apparently no-one noticed, which can only be a good thing. Apparently we sound like a proper band now and everything. Talking of recent gigs, we’ve just put up some photos from Battle of the Bands. You can see them here. We’re playing the wonderfully named National Minimum Rage at Power Lunches in Hackney. Shopping and Methodist Centre are also playing, there will be DJs from Power Queers and Cinnamon Buns, zine distros, and a screening of “She Said Boom”, a documentary about Canadian feminist punk pioneers Fifth Column. Can’t make it to London? 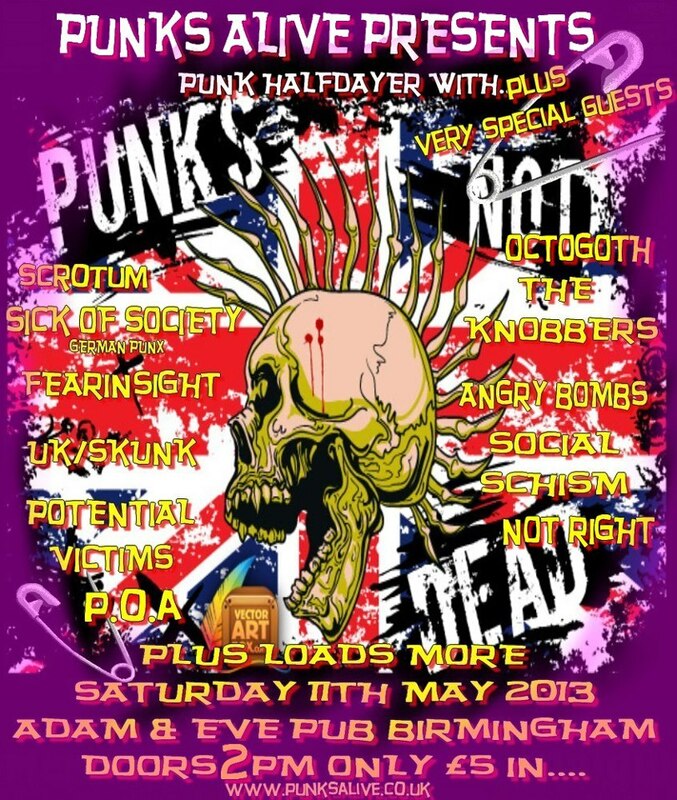 Well, we’ll be shuttling up to the Midlands the very next day to take part in a punk halfdayer at the Adam & Eve organised by Birmingham collective Punks Alive. There will be many awesome bands playing from 2pm onwards! 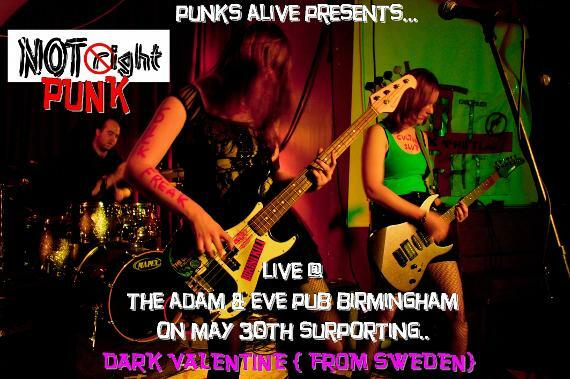 We’ll be returning to the Adam & Eve at the end of May for another gig with Punks Alive – this time supporting Swedish goth rockers Dark Valentine. A fundraiser for Daughters Of Eve: an organisation committed to preventing female genital mutilation. It’ll take place in the Cowley Club and there will be a whole host riot grrrlesque groups also playing. More details to follow – keep an eye the live page. …aaaand finally for now, we’d like to plug the latest issue of the Alternative Female Voices Magazine – not only because it’s great (as usual) but because our song “Balls” is on the covermount CD! Thanks to everyone who came down to see us play, read our zines and nab our CDs at Zephyr on Friday – it was an utterly brilliant night and we totally enjoyed every minute of it. Parataxis, Old Raskals, Deathsex Bloodbath, We Are A Communist and James from Tempest all deserve praise too for utterly stonking sets. We should do this again soon! On Tuesday 5th February we’ll be playing in the Copper Rooms for the annual University of Warwick Battle of the Bands. This will be the second year we enter, and once again we’ll be going all-out for our 15-minute performance. Last year we caused a bit of a stir after unexpectedly getting into the semi-final – this year, who knows? Thursday 21st February: from the University of Warwick to Coventry University – we’re down to play at Love Music Hate Homophobia at Hush nightclub. More details to follow! Saturday 16th March will see the return of Revolt! A proper line-up announcement for Coventry’s DIY riot grrrl ruckus should follow soon. …and on Friday 10th May we’ll be returning to London for a gig with National Minimum Rage in Hackney’s Power Lunches! Full details (and updates, when we have them!) can be found on our live page. 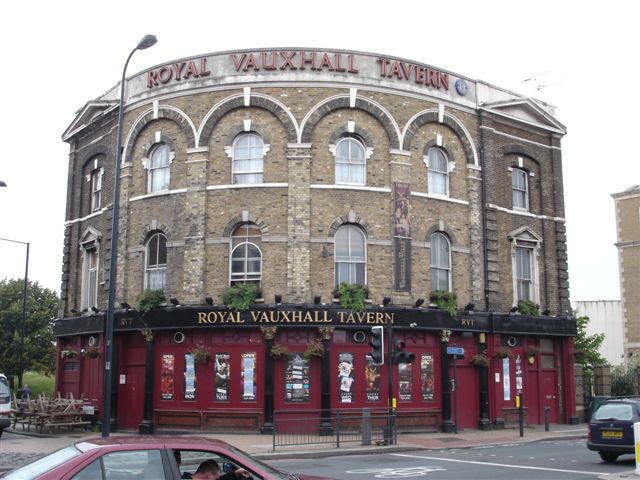 It’s now less than a week until our gig at Bar Wotever, in London’s legendary Royal Vauxhall Tavern. Playing alongside: Battle Of You, The Makeshifts, Killer’s Riches. We’re playing first, so get down early if you can!